Uruguay tourism has become a mainstay of the national economy. 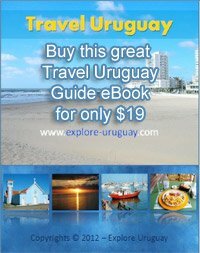 The nation has been quick to embrace the influx of visitors and the hospitality of people of Uruguay makes any Uruguay vacation a happy and memorable adventure. There is an amazing diversity of sights, sounds and experiences that a Uruguay vacation brings to the table. From centuries old historic landmarks to the most modern resorts it is certain that everyone will find something that appeals to them. You can explore the Old World architecture of homes and city buildings as easily as you can relax at a 5 star spa. In this South American nation there are as many different types of adventures as you could possibly desire. While some people will want to explore the forests, national parks and hillsides there are others who will prefer to visit the nightclubs, high end restaurants and major shopping centers. Beaches are one of the most popular tourist attractions in Uruguay and with miles of sparkling shoreline there are always coastal adventures that await you. Uruguay tourism has benefited from the many beaches the country has to offer. There are wild, natural beachfront locations extending from the base of tall, rocky cliffs as well as highly developed, modern resort areas that appeal to a wide group of tourists. Punta del Este and Montevideo feature some of the most well known shorelines but there are other beaches that attract large crowds of people on a daily basis. You can stroll along the sandy shores of Atlantida, Piriapolis, Solis or Portezuelo and enjoy a different adventure at each of these beaches. You can relax on a blanket and let the sun bronze your body or swim in the sparkling waters. Sailing and fishing are two other activities that are highly prominent in Uruguay tourism. No matter what type of water sports you may prefer you will be able to enjoy them during your Uruguay vacation. Surfing is a sport that many tourists and local people of Uruguay enjoy; and many of the beaches in Uruguay are designed to deliver a true adrenaline rush. There are a number of sites where the wind is strong and the coastal waves are driven to shore in high, powerful surges. Even if you do not surf the thrill of watching these wave riders in action will provide you with a full day of activity and excitement. Just pack a picnic lunch and find a spot atop a cliff that gives you a great view of the surfers in action. If you are looking for a relaxing and peaceful seaside resort then you may want to check out the tranquil oasis known as Aguas Dulces Uruguay. This is a favorite vacation site for many visitors according to Uruguay tourism officials. You can explore a number of sandy beaches as well as forests, hiking trails and walking paths. While you are staying at Aguas Dulces you can wander among the towering, swaying palms or simply sit by the shimmering waters a pool or lake. Fresh fruit is a favorite snack of the people of Uruguay and this is a perfect time to discover the taste of a number of exotic delicacies including the fruit that comes from the Butia trees. Colonia del Sacramento is one of the most famous, historical cities of Uruguay along the Uruguay coastline. Here you will be able to wander among many old ruins and visit buildings that have been in existence for hundreds of years. Portuguese architecture is highlighted within this city and tour guides can lead you through the corridors of the country’s oldest church or share with you the history of the fortress walls. The colorful, European influence is plainly evident in the many homes and shops that are in Colonia del Sacramento. In addition to the shops, cafes and museums you will also be able to visit Uruguay’s one and only bullring. Today bullfighting is not permitted but this arena is still one of the places that you should see. The capital city of Montevideo is one of the most important sites for Uruguay tourism. This modern setting is a unique combination of historical and cultural influences. You can easily see styles representative of art deco, Spain, Italy and Portugal in the city’s architecture. When you explore Montevideo you can spend long hours exploring Ciudad Vieja where you can discover 19th century buildings that have been exquisitely restored to their former glory. This historic old district is a big draw and rates high on any Uruguay tourism list. Parque Santa Teresa is available for those who want to spend their day discovering nature. Campsites and walking trails are both featured at this famous national park in Uruguay. There are also a number of other activities to enjoy when you explore Uruguay’s capital city. You can stroll along the main promenade, shop at world class malls, visit museums, go to the beach or sample the amazing foods offered at the many cafes and restaurants in the city. Uruguay tourism is destined to grow by leaps and bounds over the coming years. Today there are still sites such as Salto that you can visit that are well kept secrets. These smaller districts and cities in Uruguay remain under the tourist radar which means that there are fewer visitors to contend with. If the numbers for Uruguay tourism to continue to rise these places will soon become as popular and as crowded as Punta del Este, Playa Mansa and Montevideo. A trip to Salto is where you can still view amazing sunsets, enjoy nature at its finest and watch the gauchos work the land and herd large groups of cattle. The Uruguay vineyards are another tourist attraction where you will encounter smaller crowds. Even a few of the beaches are still “off the beaten track” and are wild enough to satisfy any lover of the great outdoors.